Nations Around Our Table: The Antidote to Worry? 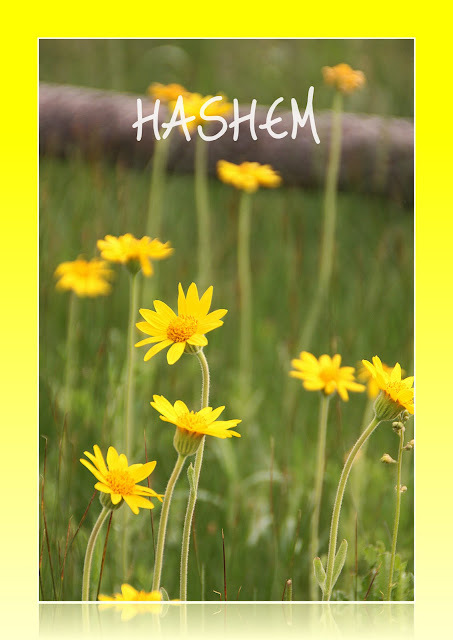 HaShem - The Name....just saying it invokes reverence in my spirit. HaShem is The Name that we are studying in our book, Praying The Names Of God, this week. It seems like such a perfect time, what with mom about to have surgery. And then, as I confessed and repented, the LORD really burned into me that my greatest hope for my future was to "trust in the name of the LORD my God". See, when I am depending on someone else (my "chariot" or "horse"), I must control them (it) to get the end that I want. Of course, in my heart I know this is foolish, and so worry comes in big time! On the other hand, when I choose to trust in The Name, I have confidence in Him and have hope for my todays and tomorrows; hope for the troubling situations that I may face; hope for the people that I love; hope for what I cannot see. "That's why He tells us to trust in His Name, to count on His ability to see the future and prepare us for it-whatever may happen." (taken from Praying The Names Of God). Worry and try to control or Hope and rest in peace. Today, may we all stand strong, not because we trust in our "horses or chariots", but because "we trust in the Name of the LORD our God."!!!!! Proclaim (say out loud) this truth to your troubles and trust AND HOPE. AMEN! Trusting in Him with you! Thank you so much for sharing what God obviously laid on your heart. I have had MANY things to worry over recently and sometimes my heart gets so overwhelmed that I feel as if I cannot breathe. To be reminded that I must trust in His Name and not in my abilities, my family, friends, plans etc...... the list goes on........ is freeing. Thank you for this reminder to trust that He's got my back and He's there to take my fears and anxieties. Praying for your mom. You've certainly given me something to think & pray about !